Need to find a Soil and Water Conservation District? 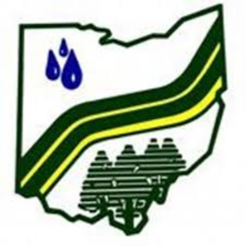 Check out the Ohio Conservation Partnership Roster at the link below! Looking for your elected officials? See the links bleow. Find a Soil and Water Conservation District in your county. The OFSWCD is here to serve the 88 Soil and Water Conservation Districts. We provide a variety of resources. A few are listed below, but please do not hesitate to contact us with any specific requests as we may be able to assist! We enjoy working with the dedicated staff around the state and are here to partner with you to communicate the message of conservation. Also, make sure you make plans to attend the Annual Partnership meetings, Summer Supervisor School and other networking and training opportunities provided. These meetings are a great way to learn what other disticts around the state are doing, network and learn. See the Events page for more information. Annual Partnership Meeting, SSS- Training, networking and more! Contribution Agreements - we will provide updates on what programs are current. Contact the office for a form. OFSWCD has partnered with The Ohio State University to provide leadership training to Supervisors and Staff. Courses are designed to challenge the individual, improve one's understanding of current and future issues and develops skills necessary to lead. Each participant will be required to complete ten courses in 3 years to earn the distinction of graduating from this academy. Courses are offered during partnerships meetings and only cost the participant the registration fee of the event. Contact us to get enrolled today! Visit the links below for more information on the NACD Poster Contest.